Strathroy Middlesex General Hospital (SMGH) serves a population of approximately 35,000 residents in the second fastest growing township in Ontario. 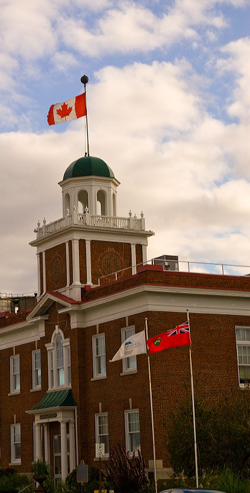 The hospital’s community includes the Town of Strathroy, a bustling urban centre of 12,500 with a vibrant downtown of quaint shops, restaurants and services. Surrounded by rich agricultural farmland, Strathroy is home to many London and Sarnia commuters and offers small town life amenities: a pleasant walk to many beautiful parks and nature trails; a strong sense of community; a mix of gracious century homes and modern housing; good schools and shopping. The hospital is only a short drive to London, Sarnia and the beautiful beaches of Lake Huron. SMGH is a full service family-centred community hospital providing a comprehensive range of diagnostic and ambulatory services, as well as both primary and secondary care. The hospital operates 54 acute care beds along with a comprehensive range of diagnostic and outpatient services. Medical staffing includes a number of active local family physicians, internists, surgeons and specialists. Total staffing for the hospital including full-time and part-time staff is approximately 300. Strathroy Middlesex General Hospital is located approximately 40 km west of the City of London, which is a major tertiary care centre. Other hospital facilities in the area are: Four Counties General Hospital, Newbury (48 km), Charlotte Eleanor Englehart Hospital, Petrolia (40 km) and Sarnia hospitals (55 km) Sarnia. The hospital was officially opened with 20 beds, and the first patients were admitted February 14th, 1914. There was a staff of five, plus three student nurses, and the room rate was $1.50 per day. At the time, the hospital was municipally owned. Strathroy General Hospital operated a School of Nursing from 1916 to 1946 with 111 nurses graduating during that time. A school for Registered Nursing Assistants was conducted from 1962 to 1977 with 311 RNAs graduating. In May 1959, after a great deal of careful planning and a successful fundraising campaign, the present hospital was built. It opened June 23, 1962 as a two-storey structure with 82 beds. In 1966, the Town of Strathroy relinquished ownership of the hospital and it became a community hospital ensuring that representation on the Board of Governors reflected the various communities served. At that time, the name was changed to Strathroy Middlesex General Hospital. In 1975 two more floors were added, increasing the rated bed capacity to 154, and adding new services such as ICU/CCU, and a Chronic Care & Rehabilitation Unit. Due to provincial restrictions the hospital was only allowed to open 116 beds. Numerous changes to the hospital’s programs and services have taken place since then. The hospital currently has a bed capacity of 54 and offers a wide range of outpatient services.